Not everyone can become an NBA champion, it took LeBron James nearly a decade to win his first ring and Michael Jordan only won one during his seventh season in the league. In fact, we recently had to take a specific player off this article, Kevin Durant, who finally won an NBA Championship this season. But eventually all three of them won a ring, and at least two continued winning rings (we’re waiting for you to win more KD), so there is no place for them on this list. Instead, we’d like to focus on those greats who entertained us for years but never managed to win it all. A lot of these guys are legends, some of them have already been inducted into the Hall of Fame, so it’s hard to believe that they don’t have a ring in their trophy case. But as heartbreaking and disappointing as it is, it’s true. If you’re an NBA fan, you probably already know who is on this list. If you don’t follow basketball religiously, you’re in for a ride. All of these guys are household names, all of them should have won a ring. But unfortunately there can only be one team a year, and many of these guys faced one another, becoming the barrier to greatness. For some of the guys, like Chris Mullins, Tracy McGrady and Tim Hardaway, it will never happen. For others on this list, like Chris Paul and James Harden, there are still plenty of years in the league and will to fight to one day win it all and get a chance to hoist the coveted trophy. Not everyone can become an NBA champion, it even took LeBron James nearly a decade to win his first ring. In fact, some of the greatest to ever play the game either retired without ever conquering a title, or are still fighting for a chance to win it all. But does remaining ringless make you irrelevant? Take a look at this list and let us know. 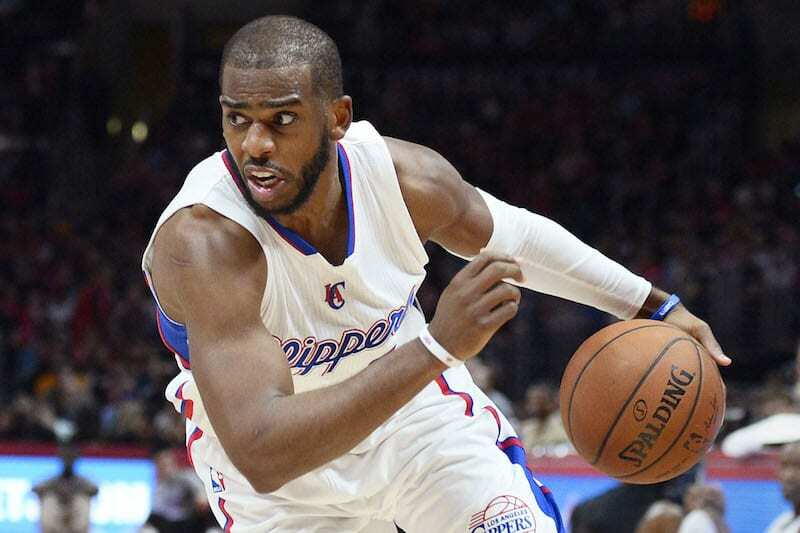 Chris Paul is an all around player, averaging 18.7 points, 9.9 assists and 4.4 rebounds for his career. Since he was traded to the Clippers, LA has been to the postseason every season, winning at least 50 games during five of those years (the only season they didn’t was the shortened lockout season). So with all these playoff appearances, and Paul’s selfless play, it’s surprising to hear that CP3 has never been able to lead his teams past the Western Conference semis, let along win a ring. 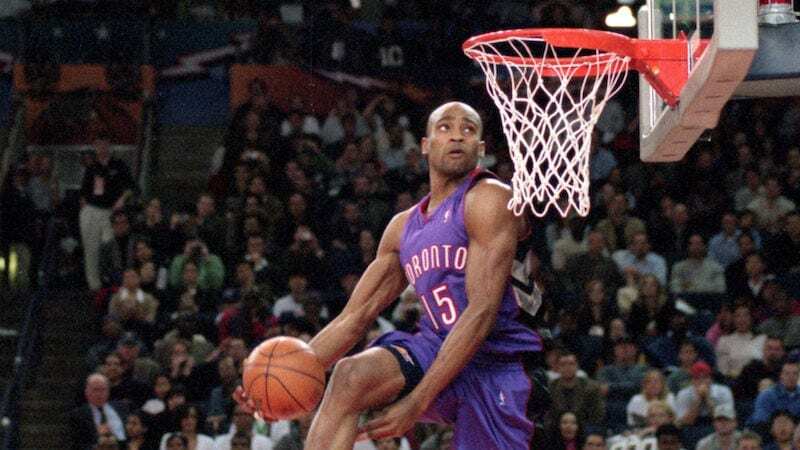 Vince Carter is an eight-time All Star and two-time All-NBA player. He’s 27th on the all-time scoring list with 24,555 points, a dunking machine and a gold medal winner at the Olympics. He’s 40 years-old and still playing basketball. What he isn’t is an NBA champion. In fact, he never really got too close to winning a title. Carter joined teams such as the Mavs, Magic and Nets shortly after they made their finals appearances. This past season, he made it to another postseason appearance with the Memphis Grizzlies, who lost in the first round. 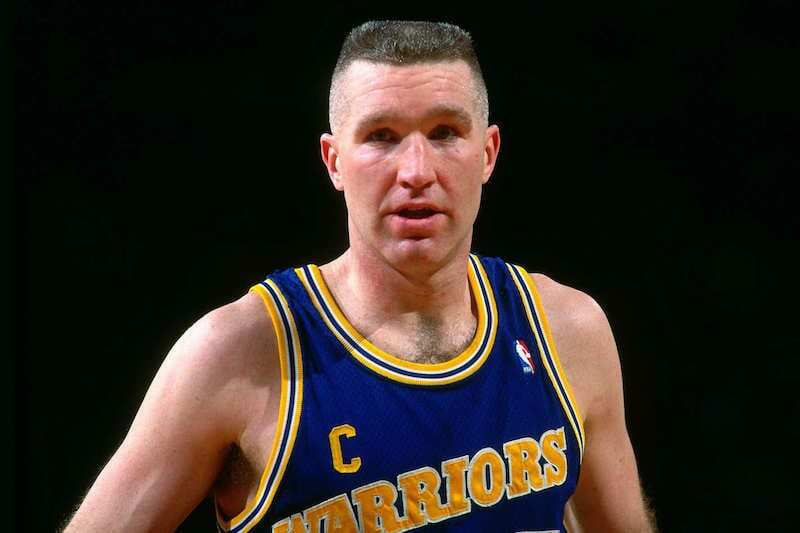 Chris Mullin took a bit of time getting into his NBA game after he was drafted by the Golden State Warriors seventh overall in 1985. But once he hit his stride, during his third season in the Association, Mullins would average more than 20 points per game, averaging more than 26 at his height. He would retire with five All Star appearances, was a 4-time All-NBA player and was inducted into the Hall of Fame in 2001. He may not have a ring, but he does have two Olympic medals, one while playing during his college years, the second with the 1992 Dream Team. James Harden wrapped up his most prolific NBA season so far this year, averaging 29.1 points, 11.2 assists and 8.1 rebounds for the Rockets. He led Houston to the Western Conference semis, beating the other MVP candidate, Russell Westbrook, on the way. Since he joined the Rockets during the 2012-13 season, they made the playoffs every season, after a three year hiatus. But they never made it past the Western Conference Finals. Harden has plenty more years ahead of him in the NBA, so there’s still time to win a ring. 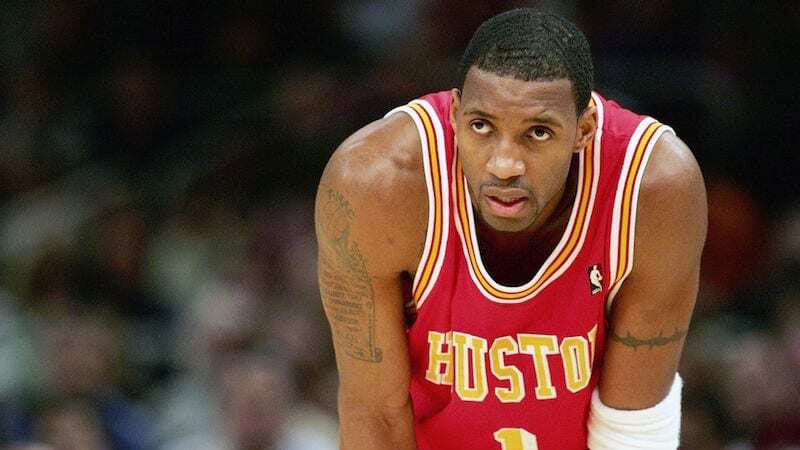 Tracy McGrady enjoyed a long NBA career, with a short but sweet dominating few seasons. From 2000-01 until 2007-08 McGrady was averaging over 20 points a game, including an insane season in ‘02-’03, when he averaged 32.1 PPG and 6.5 rebounds. But McGrady never won a playoff series during that time period. McGrady was part of the 2012-13 San Antonio Spurs postseason roster, but never made it off the bench. That squad made it to the Finals but lost to Miami in six games. The former Fab Five player was one of the most dominant big men in the Association during the 1990s and early 2000s. 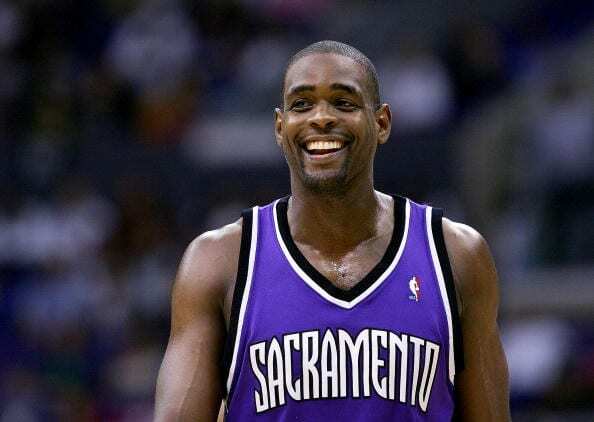 But throughout his career he played for Washington, Sacramento, Philly and Detroit before ending his career where it started, with Golden State. Webber dominated in his rookie season, averaging 17.5 PPG and 9.1 rebounds, winning him the Rookie of the Year title. But even with five All Star appearances and being named to the All-NBA team five times, Webber never won a ring. He came close in 2001-02, but lost in the Western Conference Finals to the Lakers. 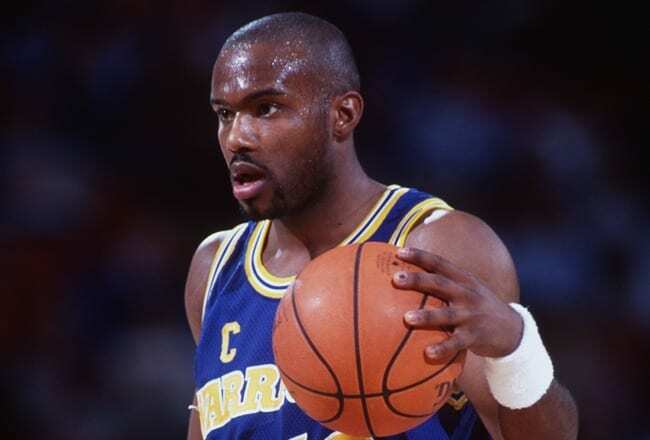 Tim Hardaway Sr. was iconic when he was at his best. During the first 11 years of his 13-season career (those last two only hurt his career statistics), Hardaway averaged 18.6 PPG with 8.6 assists and 1.7 steals. He finished his career a five-time All Star and five-time All-NBA player and at number 16 on the all time assists list with 7,095 dishes. While with Miami, Hardaway made the playoffs every year, but they never made it past the Eastern Conference Finals. 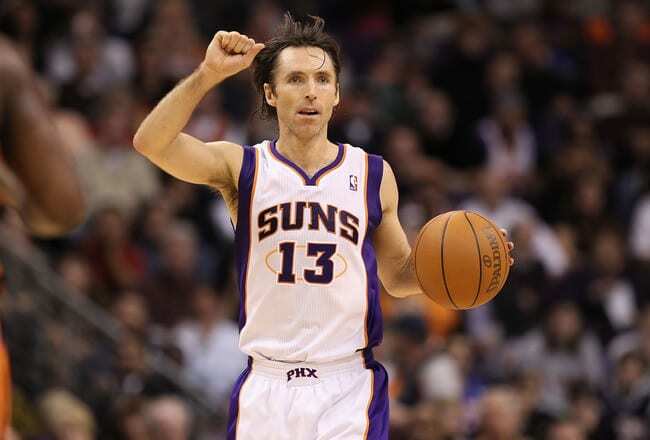 Steve Nash is a two-time MVP, 8-time All Star and 7-time All NBA player. He is one of the best point guards to have played in the NBA, and had a great pick-and-roll player by his side (Amar’e Stoudemire) in Phoenix. Yet, the Canadian has still never been able to win a ring. He led the Suns to five playoffs during his eight seasons in Phoenix, but they were never able to get past the Western Conference Finals. It looked as if Nash may retire with a ring after he joined the LA Lakers in 2012, but he suffered an injury early in the season and would never really recover. He averaged 14.3 points, 8.5 assists and 3.0 rebounds for his career, and is third on the all-time assists list with 10,335. 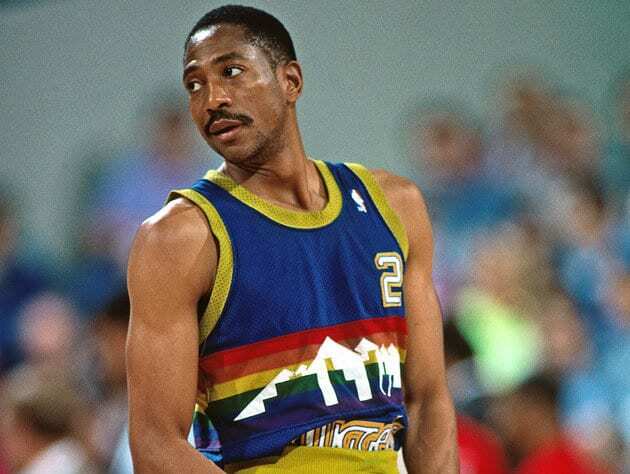 Alex English owned the league when it came to scoring in the 1980s. The Nuggets made the playoffs nine times while English starred for Denver, but never made it past the Western Conference Finals (they only had one WCF appearance, in 1985). But English is remembered as one of the best scorers during his time on the court, and is 21st on the all-time scoring list. He averaged 26.0 PPG and 5.5 rebounds while with the Nuggets, and 21.5 PPG and 5.5 rebounds for his career. He was inducted into the Hall of Fame in 2006. 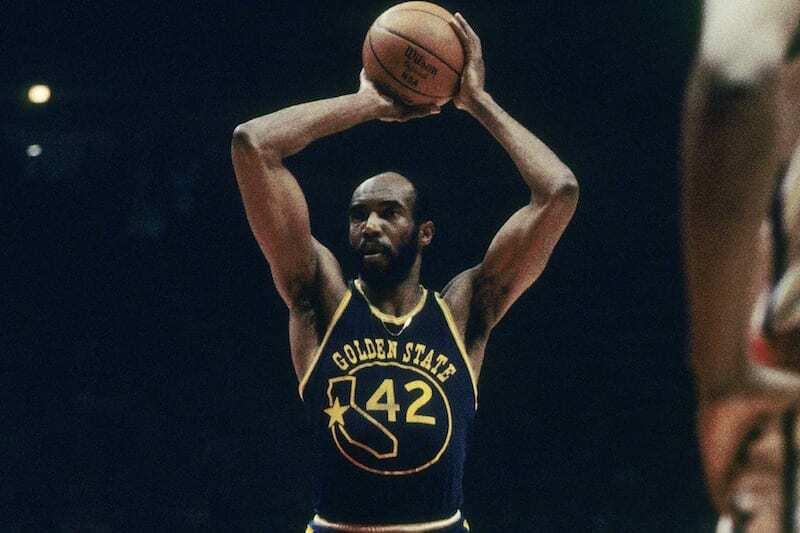 Nate Thurmond may not be a household name, but he’s also not a name to scoff at. Thurmond was a rebounding machine, averaging double digit rebounds from his sophomore season in 1964-65 for a full decade, until 1974-75. At his height, in the late ‘60s, Thurmond was averaging over 20 rebounds and 20 points per game for the Warriors. During his 11 seasons with Golden State (who at the beginning of his career were still San Francisco), the Warriors made the playoffs seven times, including two loses in the finals. The Warriors would go on to win a championship the season after Thurmond was traded to Chicago, and Thurmond retired without a ring (he is 11th on the all time rebounds list). 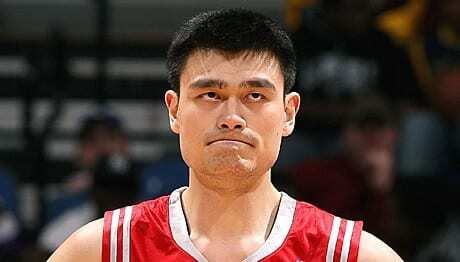 Yao Ming’s NBA career was short-lived. He spent only eight seasons in Houston, the last playing only five games, and was forced to retire with injuries. Yao averaged 19.0 PPG, 9.2 rebounds and 1.9 blocks during his years with the Rockets, leading Houston to five playoff appearances. But they were never able to get past the Western Conference semis. He was an 8-time All Star, his no. 11 jersey was retired by the Rockets, he won three gold medals at the FIBA Asia Championship and was inducted into the Hall of Fame in 2016. This season has been Russell Westbrook’s best by far, finishing with a stat line from the movies: 31.6 points, 10.4 assists and 10.7 rebounds a game, becoming the first player in the NBA to average a triple-double for a season. But his magical season came to an end with an early exit from the postseason, after losing to James Harden and the Rockets in five games. 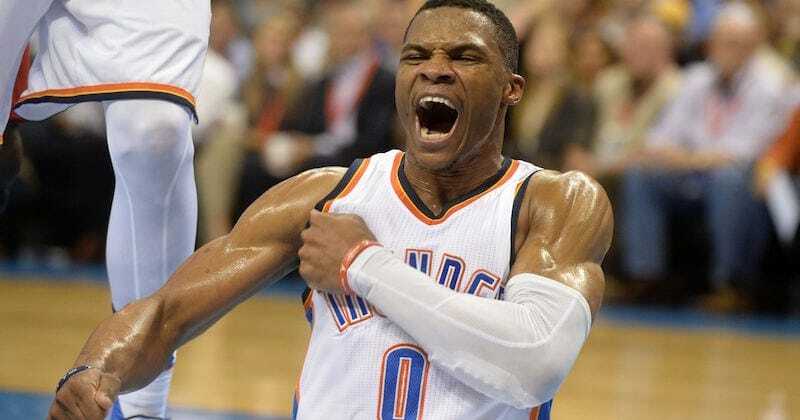 Since the Thunder drafted Westbrook in 2008, they only missed the playoffs twice. You’ll never get through a list such as this without spotting Charles Barkley on it. An 11-time All Star, 11-time All NBA and the 1992-93 MVP. 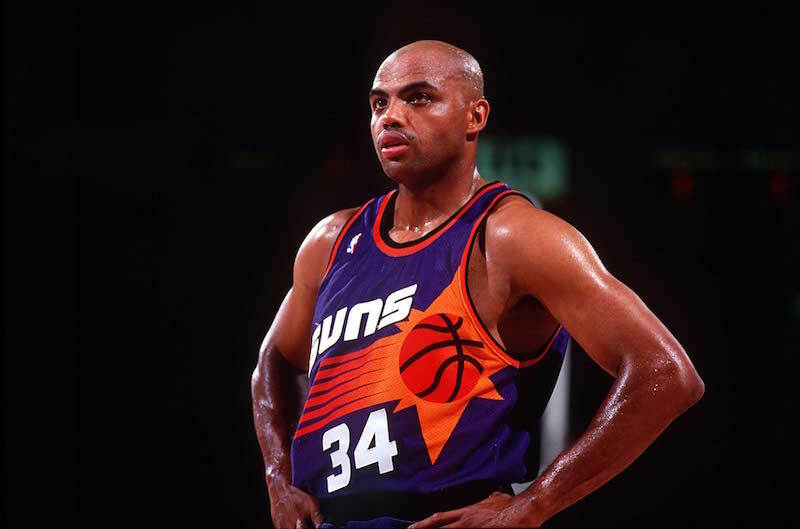 Barkley had never averaged below 14 PPG during his 16 season career. From 1985-86 through 1995-96, Barley was averaging over 20 PPG, including 28.3 in ‘87-88. Sir Charles is probably most well-known for his rebounding skills, averaging 11.7 for his career including 14.6 in 1986-76. He’s 31st on the all-time scoring list and 29th on the rebounding list. He’s also only one of four players to ever score 20,000 points and tally more than 10,000 rebounds and 1,500 steals. He was inducted into the Hall of Fame in 2006. 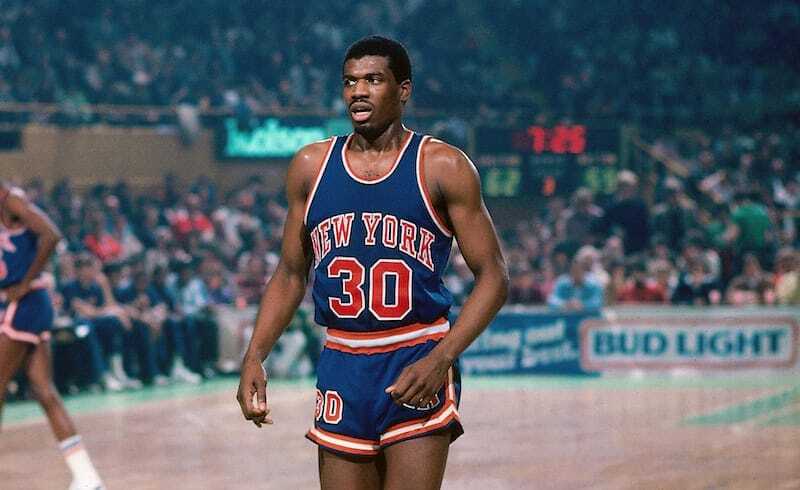 Bernard King may have not had any success in the playoffs, but he was a scoring machine. He didn’t waste any time, putting up 24.2 PPG and 9.5 rebounds during his rookie season with the then-New Jersey Nets. He won the scoring title in 1984-85, with 32.9 points per game. In 1990-91 he was still putting up 28.4 points a game. King was a 4-time All Star, 4-time All-NBA and was inducted into the Hall of Fame in 2013. Bob Lanier was taken at no. 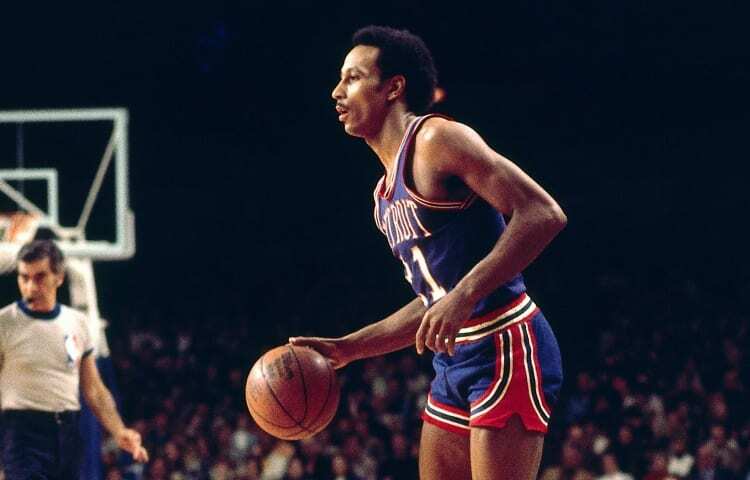 1 overall by the Detroit Pistons in 1970, and starred right from the start. Lanier spent nine full seasons in the Motor City, averaging 22.8 PPG and 11.9 rebounds. He was an 8-time All Star and was inducted into the Hall of Fame. But he never had much postseason luck. He made it to the playoffs nine times with the Pistons and Bucks, but never made it past conference finals. 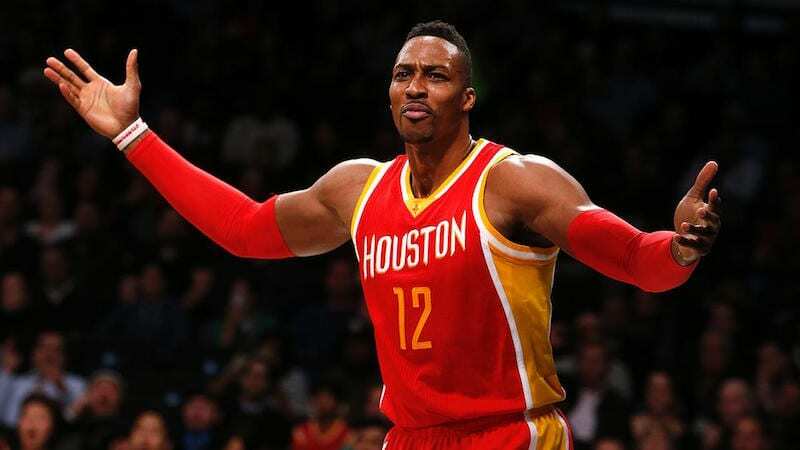 Dwight Howard is on a mission to get a ring. Superman has bounced around over the last few years to teams he believes will help him land that championship. He tried his luck in LA with Kobe, Steve Nash and the Lakers, before heading to play with James Harden in Houston and most recently in Atlanta, who also lost during the first round to Washington. Howard’s numbers have gone down over the last two years, but he still has a few more seasons in him. Will the 8-time All Star and 3-time Defensive Player of the Year get his ring? And where will he play next? The long-time San Antonio Spurs stud averaged 26.2 PPG and 5.5 rebounds during his 12 seasons with the team. 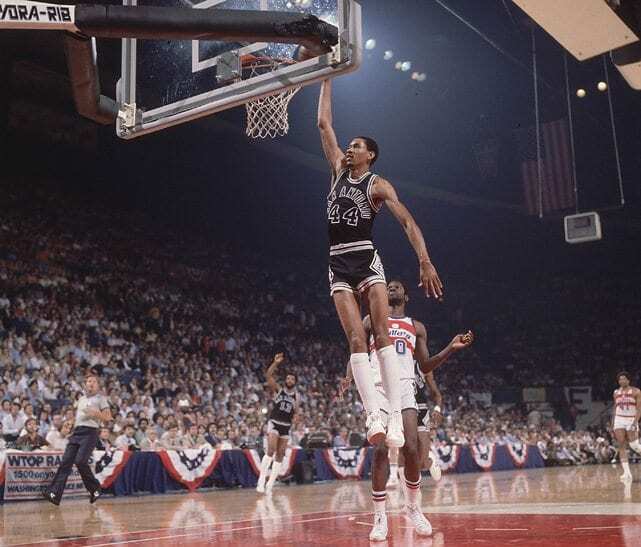 He was the Spurs all-time leading scorer, with 23,602 points, until Tim Duncan broke his record. San Antonio missed the playoffs only once during his tenure there, but could never get past the conference finals. He averaged 25.1 points and 5.3 rebounds for his career, was a 12-time All-Star, 7-time All NBA and was inducted to the Hall of Fame in 1996. 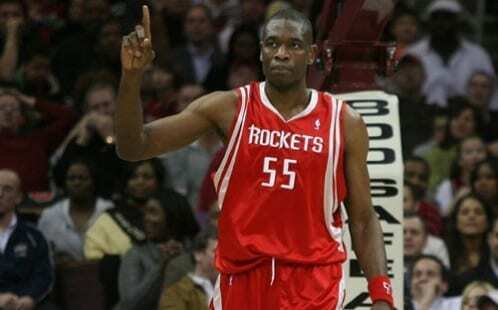 No, no, no, Dikembe Mutombo has never won a championship. The big man came close twice, making the Finals in 2001 with the Philadelphia 76ers who eventually lost to the Lakers in five games, and in 2003 with the then-New Jersey Nets, who lost to the San Antonio Spurs in six games. His offensive numbers may not scream out MVP, averaging 9.8 points for his career. But he was a defensive monster, finishing his career with 10.3 rebounds a game and 2.8 blocks. He is second on the all-time blocking list and 20th for total rebounds. 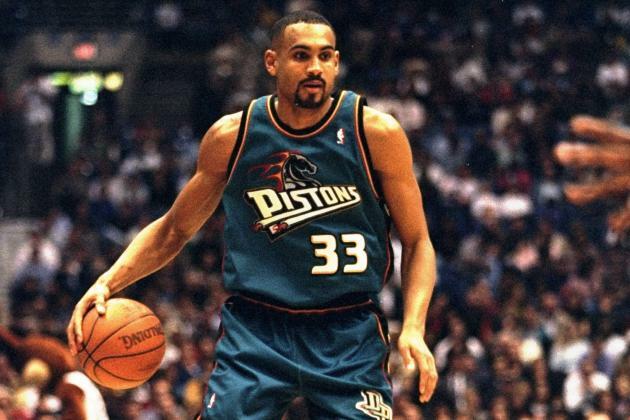 Grant Hill enjoyed a lengthy NBA career, but some may argue he was never the same after injuring himself towards the end of the 1999-2000 season. During his first six seasons with the Pistons, Hill averaged 21.6 PPG, 6.4 assists and 7.9 rebounds. While in Orlando he played in only 200 games and saw his averages drop. Still, Grant was a 7-time All Star and 5-time All NBA. He made the playoffs ten times with four different teams, but never made it past the conference finals (and he only made it there once). It was hard to get past the Boston Celtics during the 1980s, they made the Finals five times and won three championships. 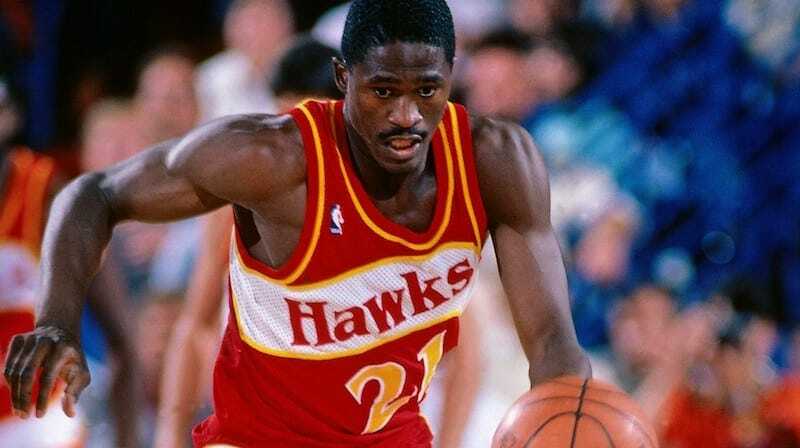 So it’s no wonder that Dominique Wilkins never won a ring while playing for the Atlanta Hawks that decade. During his 11 full seasons with the Hawks (not taking into consideration the season he was traded), Wilkins averaged 26.5 points, 7.0 rebounds and 2.6 assists. He never made it to the NBA Finals, but was a 9-time All Star, 7-time All NBA and was inducted into the Hall of Fame in 2004. Adrian Dantley is known for his insane scoring abilities during the 1980s. 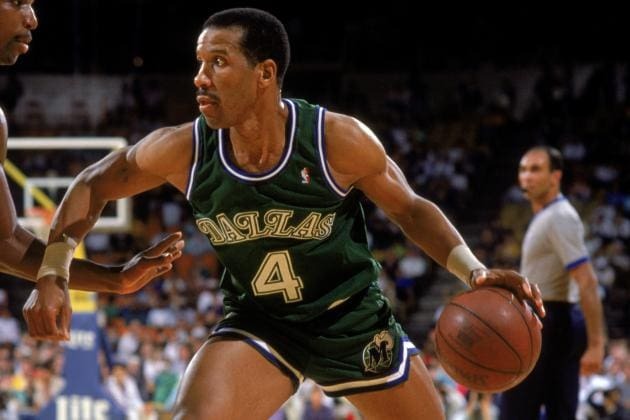 During his seven seasons with the Utah Jazz, Dantley averaged 29.6 points, 6.2 rebounds and 3.7 assists per game, while shooting 56% from the field. After his time in Utah, Dantley jumped from team to team, but he was never able to find a lineup to win a championship with. He was Rookie of the Year in 1976-77, a 6-time All Star, 2-time All-NBA and was inducted into the Hall of Fame 2008. Allen Iverson changed the 76ers. He took the team from a 22-60 squad his rookie year to a playoff team two seasons later. 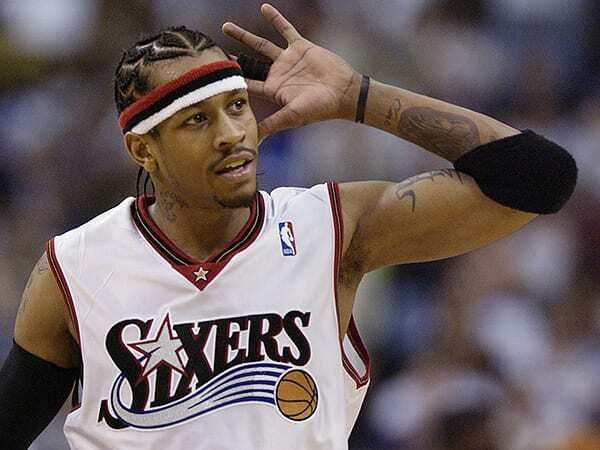 During his ten seasons in the City of Brotherly Love, Iverson averaged 28 PPG, with 6.1 assists and 4.0 rebounds. They made six postseason appearances, with a trip to the Finals in 2000-01, when they lost to the Lakers in five. That year Iverson also won the MVP. The guard was an 11-time All Star, 7-time All NBA, 2-time All Star Game MVP, Rookie of the Year, and of course, he’s a Hall of Famer. 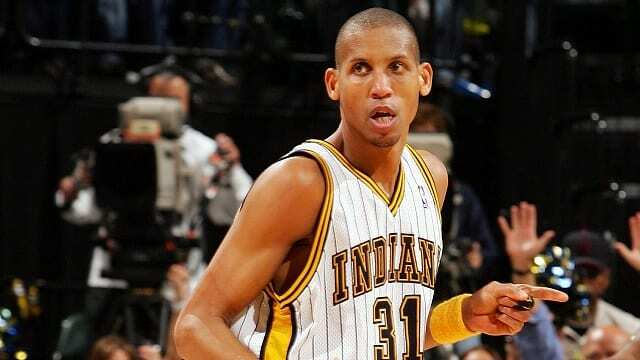 Reggie Miller made a career out of taking down the Knicks and breaking Knicks fans’ hearts. But Miller himself never won a ring. The career-long Pacer spent 18 seasons in Indiana, averaging 18.2 PPG. During those 18 seasons the Pacers made the postseason 15 times, including a trip to the Finals in 1999-2000, when they lost to the Lakers in six games. Miller is 22nd on the list of all time scorers, with 25,279 points. He was inducted into the Hall of Fame in 2012. 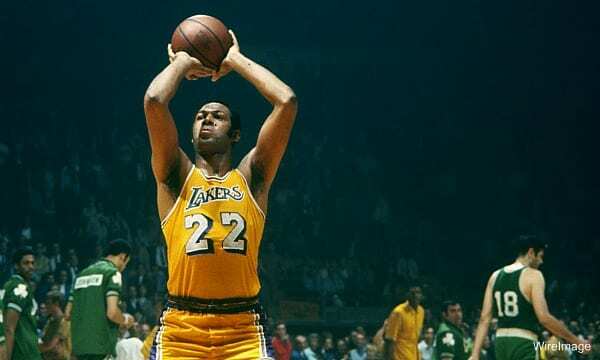 Elgin Baylor was an all around phenomenal player. The forward spent 12 years with the Lakers, after two seasons in Montreal, averaging 27.4 points and 13.1 rebounds per game. Those numbers don’t show how dominant he was at the height of his game. For three straight seasons, Baylor averaged over 30 points a game while adding 19.8, 18.6 and 14.3 rebounds (1960-61, ‘61-’62 and ‘62-’63 respectively). Baylor retired in 1971, and the Lakers would go on to win the next season. He was an 11-time All Star and was inducted into the Hall of Fame in 1977. 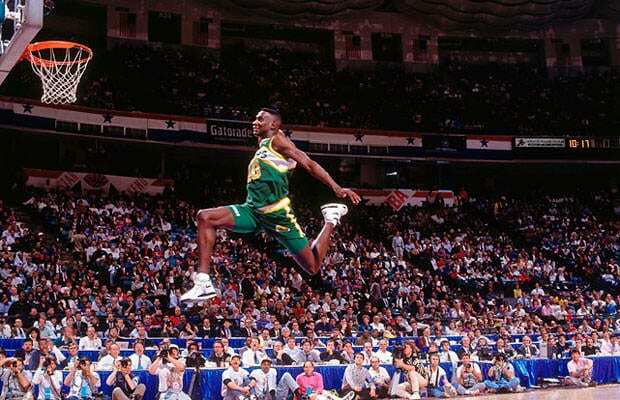 When Shawn Kemp was at the height of his game, he was a force to be reckoned with. He didn’t play much during his rookie season with the Seattle SuperSonics, but broke out in his sophomore year, averaging 15.0 points and 8.4 rebounds. The following six seasons with the Sonics and three seasons with Cleveland, Kemp was explosive, averaging 17.9 points and 10 rebounds, including a 20 point season. Kemp was fun to watch over the years, before fading away in Portland, but he was never able to win a ring. Dave Bing has given a lot to the city of Detroit, as both a player and a mayor. 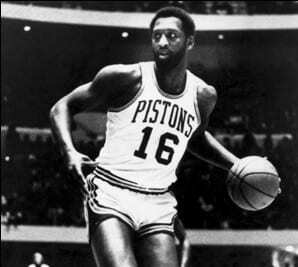 During his first nine seasons in the NBA, with the Pistons, Bing averaged 22.6 points with 6.4 assists and 4.2 rebounds. He racked up 7 All Star appearances, a Rookie of the Year award and is a Hall of Famer. The Pistons only made three postseason appearances with Bing, who also went to two playoffs with the Bullets, but he was never close to winning a championship. The Mailman was never able to deliver a ring to the Utah Jazz, even though they made the playoffs every year. 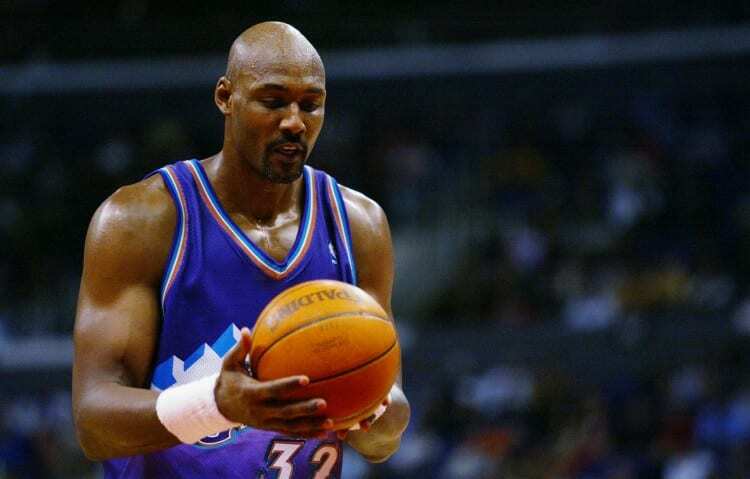 Karl Malone spent 18 seasons in Salt Lake City, averaging 25.4 points, 10.2 rebounds and 3.5 assists during his time there. The Jazz made it to the Finals twice in a row, in 1996-97 and 1997-98, losing to Michael Jordan and the Chicago Bulls both years. He’d make it to the Finals one more time, with the LA Lakers in 2003-04, this time losing to the Pistons. The Hall of Famer is a 14-time All Star, 14-time All NBA, 2-time All Star MVP and 2-time MVP. There was only one thing missing. 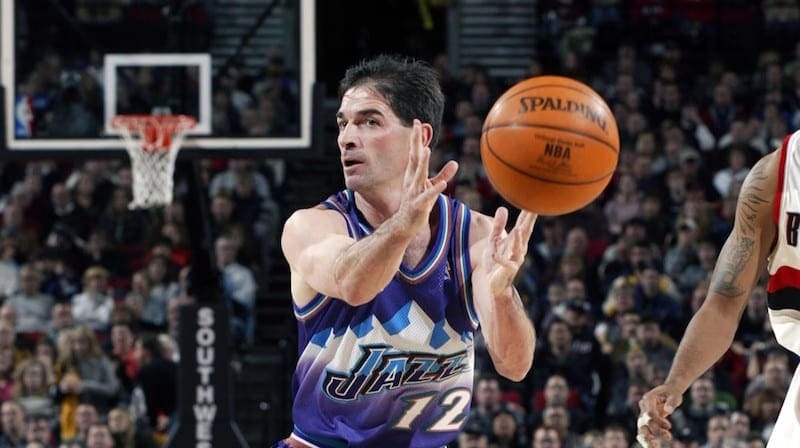 John Stockton was one of the best, pure point guards in the league. He, along with the guy ahead of him on this list, spent nearly two decades playing for the Utah Jazz, but was never able to secure a championship. Stockton’s rookie season was the first time the Jazz had made the playoffs, and they’d play in the postseason for every year of his career. They missed three postseasons in a row after his retirement. Stockton averaged just 13.1 points during his career, but he was true passer, averaging 10.5 assists. During his best seasons, Stockton was averaging 17 points and 14 assists. The Hall of Famer and 10-time All Star is still at the top of the all-time assists list, with 15,806. 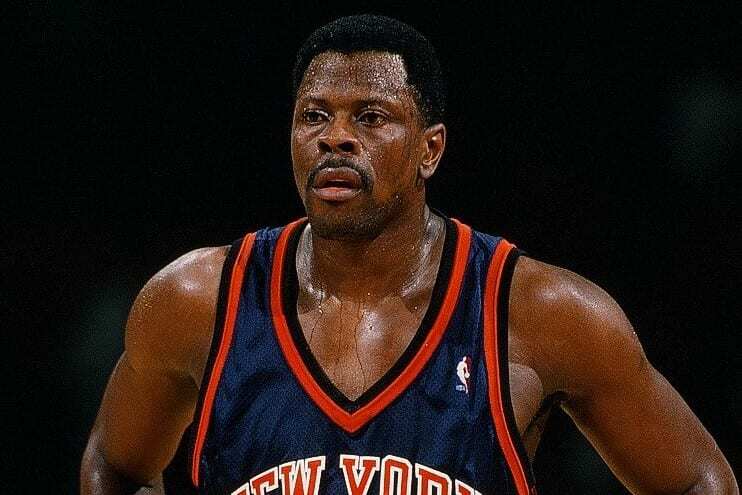 Patrick Ewing was able to lead the New York Knicks to one NBA Finals appearance (he was out injured during the 1999 season). 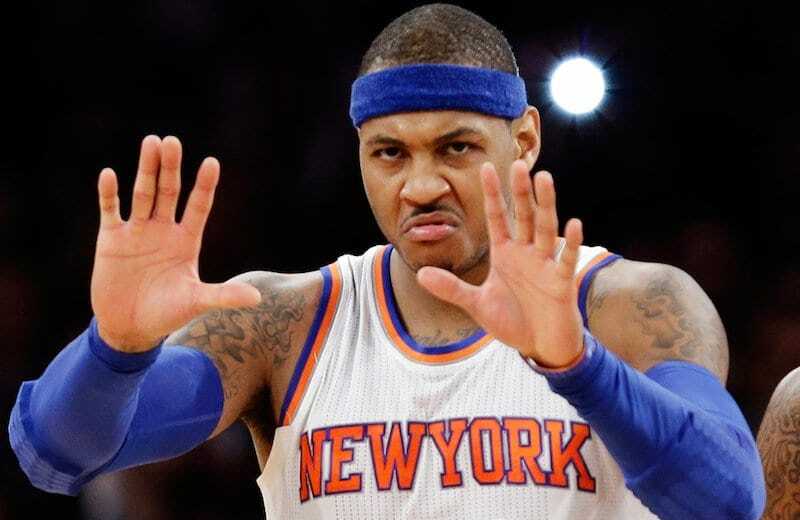 He averaged 22.8 points, 10.4 rebounds and 2 assists for the Knickerbockers. He made 12 postseason appearances for New York, losing the 1993-94 Finals to the Houston Rockets in seven games. His final season in the NBA, with Orlando, Ewing made it to the playoffs, but the Magic lost in the first round. Ewing was inducted into the Hall of Fame in 2008, was an 11-time All Star and 7-time All-NBA, and looks to win another NCAA National Championship, this time as a coach with his alma mater, Georgetown.